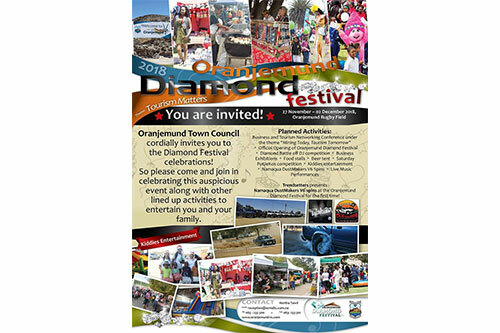 The Oranjemund Town Council is organising the 6th edition of the Diamond Festival from the 27th of November to the 02nd of December 2018 under the theme “Tourism Matters”. The objective of the Diamond Festival is to continue marketing the town of Oranjemund and seek for other investment opportunities. 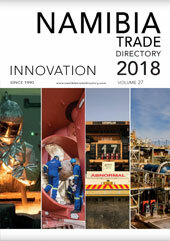 It also creates a platform for local businesses, corporates, small and medium enterprises as well as tourism establishments in and around the town to showcase their products and services directly to the resident and visitors to the town.